You simply can’t beat a good barbeque in the summer. Meat enjoyed the way nature intended – cooked over an open flame and eaten outside among the birds and the fresh air; TV is absent in favour of sizzling, smoke, laughter and above all, conversation! Barbeques are great for bringing people together: family, friends and pets too … so long as you adhere to a few simple pointers. While barbeques themselves come in all shapes and sizes, they have one thing in common: they’re hot, and can reach dangerous temperatures pretty quickly. Aim to keep your pet away from the open flame at all times and never leave the barbeque unattended. 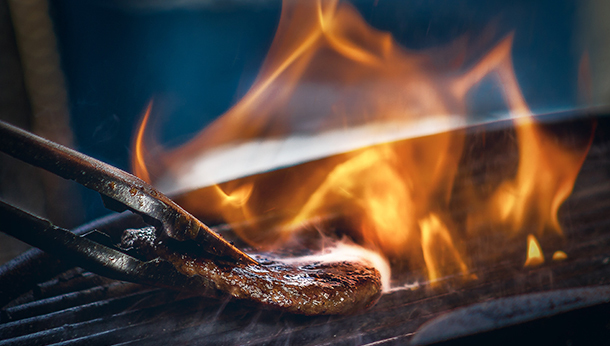 It’s not just the open flame that can pose a threat; we recommend cooling the barbeque down after you’re finished with it, but during this cooling process it’s important not to leave your pet alone outside in the garden. This is especially true for small or disposable barbeques – anything that a pet could sniff or, worse, stand on! Be mindful of other heat sources too. Keep any flammable substances (such as fire-lighting fluids) well out of your pet’s reach. There’s also the sun! Make sure that you keep an eye on your pet throughout the fun and festivities, to check that they are cool and hydrated. 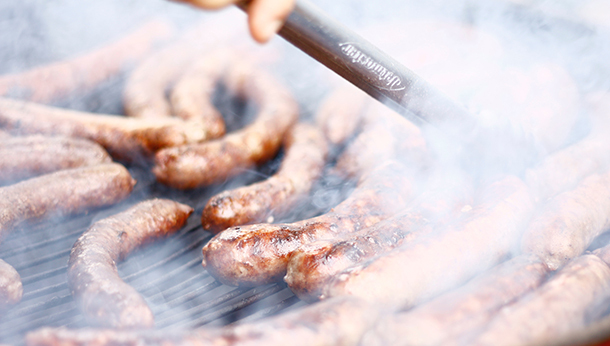 We’re sure we don’t need to remind you that barbeques are rife with temptation. Your pet, especially your dog, might attempt to pull on your heartstrings, becoming as cute as possible until you give in and feed them a sausage. We advise against this, however; greasy or undercooked meat can give your pet an upset stomach, sausages and other fatty foods can easily trigger serious conditions such as pancreatitis. Corn on the cob and leftover bones should also be avoided, as they can become serious and nasty foreign bodies that often require surgical removal. Try not to leave leftovers lying around. At this time of year, vets often come across pets that have swallowed kebab skewers, corn-cores, food wrapping materials such as containers, tin foil and string, or other hazardous objects. Keep the rubbish bin close by, somewhere you can see it and somewhere your pet can’t get to it. Think of your pet as the angel of tidiness – and besides, cleaning up leftovers during the barbeque saves you from doing it later when you’re bloated, exhausted and in need of a nap. If your pet wants to be out in the garden, try distracting them with pet treats and toys. Along with keeping them safe, this means they won’t be pestering you when you’re turning over those all-important steaks and burgers. This may take some prior research, but remain aware of which garden plants are poisonous to your pets. See here for a helpful list. A barbeque will more than likely include alcohol or other tasty (often gassy) drinks. It may even include chocolate. If ingested, both can cause serious harm to your pet. Remember also that although you are a responsible pet owner who has had no shortage of practise at keeping their home safe for the four-legged folk, the same might not be true for your guests! Tidiness and cleanliness are of the utmost importance. There’s lovely food, dazzling sunshine and endless conversation … it’s safe to say things might get loud. Your pet may love the attention, they may find it overwhelming – they may love it at first and change their minds over time. 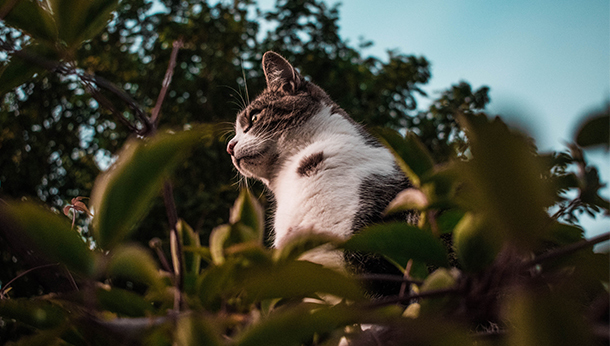 At some point, they might want to escape and, because you don’t want them wandering off through the streets or the neighbours’ garden, it’s a good idea to keep one room of the house clear of humans so your pet can be retire to somewhere safe, familiar and comfortable whenever they feel like it. That isn’t too hard, right? Let the barbeque season rage on, and let’s continue enjoying the lovely summer with our lovely pets! If you need any information, contact us today.